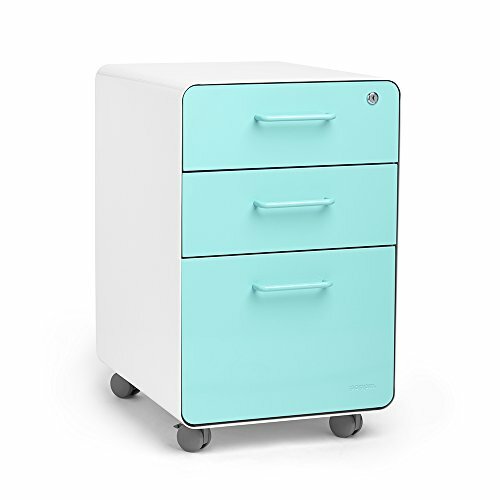 Our best-selling White + Aqua Stow File Cabinet is the stylish shelter your files are seeking. White + Aqua powder-coated steel construction with peek-a-boo matching Aqua steel interior keeps documents and doo-dads super safe. Locking drawers and attachable casters with a full 360° swivel are bound to get you lockin' and rollin'. If you have any questions about this product by Poppin, contact us by completing and submitting the form below. If you are looking for a specif part number, please include it with your message.